YOU’VE SOLD YOUR HOME! NOW WHAT? 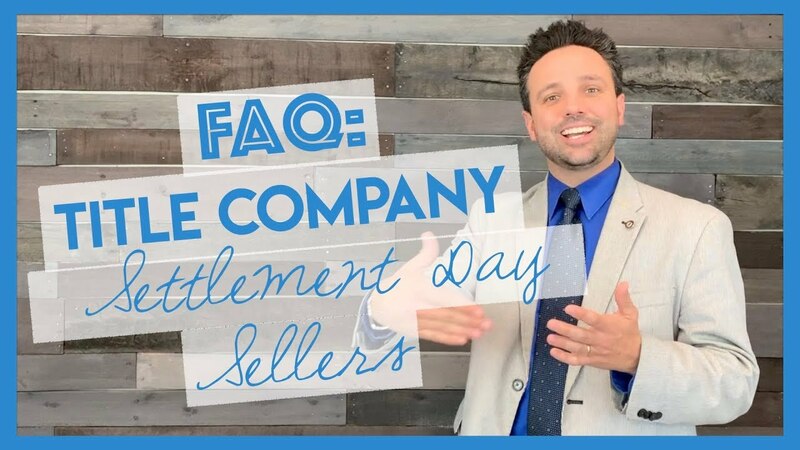 Let’s talk settlement day for sellers! What do you need to bring with you to closing? Not to worry, my buddy Joey from Universal Title is going to tell you what you need to bring! Settlement day, also for the sellers, happy day! We want to bring at least one form of government issued valid photo ID. Again, valid meaning not expired. Sellers also want to bring wire information. It’s a great measure to bring a check so that you can copy that information down. Your account number, your routing number, the name on the account, and the name of the banking institution to which you want those funds sent. Now, it’s important to note, sellers, that if you are buying a property with another title company after you sell your home, it’s really important to get those wire instructions that are from the other title company so that you can give the funds to the title company handling the sale of your home. This allows us to assign the funds directly to the other title company, so you have those monies in that account in time for your new purchase later on that day or later that week. There you have it! That is what settlement day for sellers looks like. You want to make sure you have all of this information ready for closing day so that everything goes smoothly.